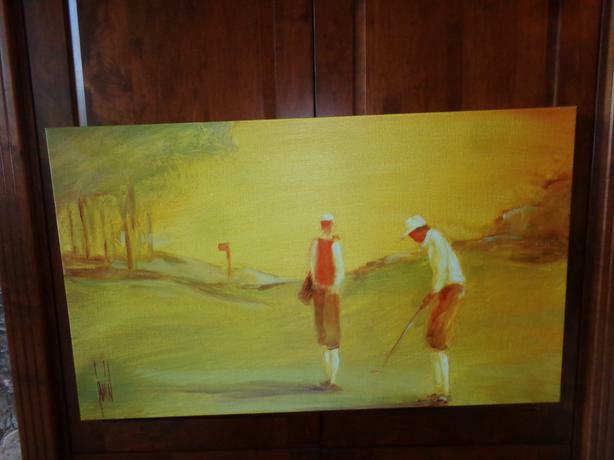 Set of 3 giclee prints featuring golfing images from long ago - 2 are 24 w x 40 high and 1 is 40 long x 23 high. In as new condition. Perfect for home, office or business. Reduced to 150.